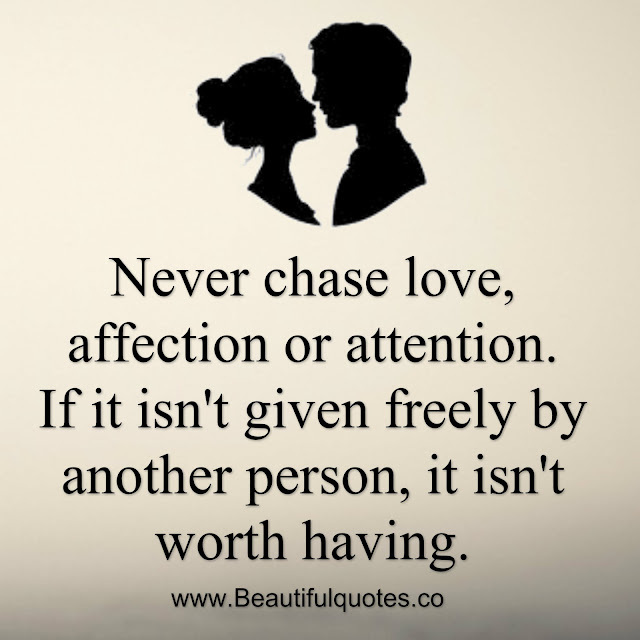 google-site-verification: google8d8438b214143f71.html Beautiful Quotes: Never chase love, affection or attention. Never chase love, affection or attention. Never chase love, affection or attention. If it isn't given freely by another person, it isn't worth having.